Spend hours with all your favorite Marvel heroes while playing your favorite card game! 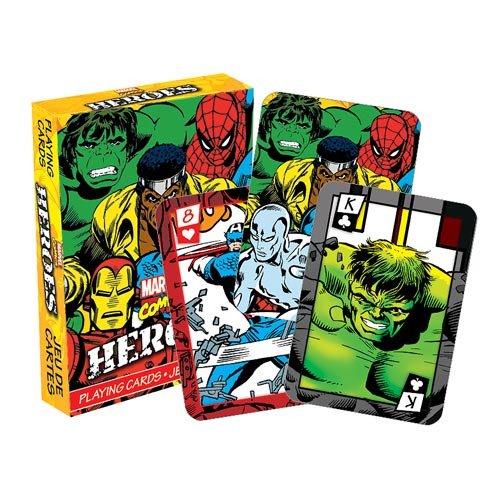 This full-color deck of Marvel Comics Heroes Playing Cards are great for professional players and fans, measuring approximately 2 1/2-inches x 3 1/2-inches with a linen type finish. Ages 6 and up.